I like to drink tea every once in a while. When I feel so stressed out and wanted to relax, or even when I just feel like my body needs some toxic cleansing, I do reach out for a cup of good tea. 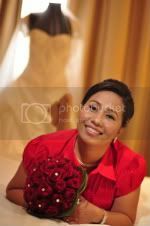 Hubby on the other hand, does love tea and when given the chance, he would gladly drink it everyday, lol! However, we only buy tea bags though and I have heard that loose leaf teas are much better in quality and taste than tea bags. Not to mention you can actually steep loose tea leaves multiple times. So when Enjoying Tea.com sent us their popular tea sampler in loose leaves along with their cool Smart Tea Maker product, we couldn't wait to give it a try. 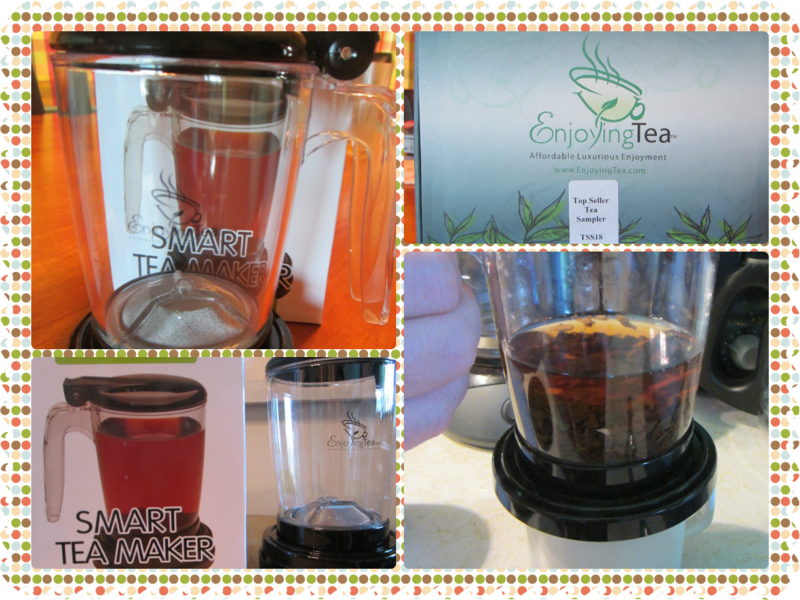 Actually, this awesome tea maker is so practical and simple to use. You just place your favorite tea leaves in the tea maker, add boiling water, and let your tea steep to your taste and liking. Once done, you place your Smart Tea Maker on top of a cup and let the tea drain into it. It does flow really fast so you need to pay attention, otherwise you could overfill your cup and waste your precious tea. To stop the flow, you simply remove your Tea Smart Maker off the cup. Voila! Your tea is ready to serve! This is perfect for quick and easy tea fix. No mess, small and portable that you can actually bring it to work or on the road if you're traveling. It is made of BPA-free durable food grade plastic and it is dishwasher safe. 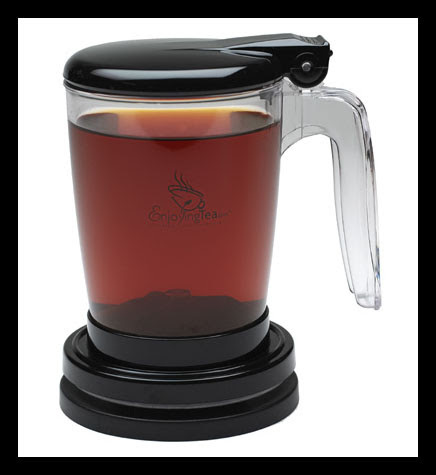 Even though it comes with a coaster, it doesn't leak while brewing or when you are finished dispensing tea. I simply love their unique and convenient tea dispensing feature. It seems pretty easy to clean as well, although I wish the stainless steel filter is removable. But other than that, I think this cool tea device is a great product to have especially for tea aficionados out there. This is the tea sampler that we got from "Enjoying Tea" company. I tried the Vanilla Chai first, a top grade Indian tea. This delicious tea includes black tea, ginger, cardamom, coriander, cinnamon, black pepper, calendula, and daisy. I mixed it with milk and sugar and oh boy was it comforting and great tasting. Enjoying Tea.com offers a variety of great tasting tea from high-quality handpicked leaves. Besides being delicious, drinking tea everyday has tons of health benefits. Tea contains a small amount of natural flouride so it is actually good for your teeth. Some tea may trigger weight loss by stimulating the body to burn calories and reduce body fat. Polyphenols (the antioxidants found in tea), may have cancer-fighting effects. Green tea specifically, activate detoxification enzymes that may help protect against tumor development. Contrary to old misconception, tea can hydrate the body just along with water. But since tea has caffeine, it is still a good idea to drink caffeinated beverages moderately. Some research has shown that tea can also lower the risk of having heart problems. White tea has been found to be effective at fighting infections caused by staph and streptococcus bacteria, pneumonia and tooth decay. So yeah, tea should be part of our daily liquid intake as it has more benefits than we could imagine. Now having read all that, wouldn't you like to sample some great-tasting tea yourselves? The people at Enjoying Tea.com wants to make your tea drinking experience a pleasure so they would be giving away a "Smart Tea Maker" and a small canister of tea to one lucky reader. If you're interested, please join via Rafflecopter below. You can earn multiple entries by doing most if not all the contest requirements asked by Rafflecopter. This contest is open to all U.S. residents only. Thank you everyone for joining. Good luck to you all! Green Tea, Peppermint, Sleepy Time Tea.